Flutie was selected by the Rams in the 11th round of the 1985 draft, but Los Angeles traded his rights to the Bears after the season. 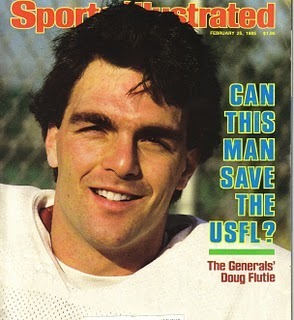 Flutie joined the Super Bowl Champion Chicago Bears midway through the 1986 season. The Bears were a wild bunch of players that were loyal to quarterback Jim McMahon. In the final four regular season games of the 1986 season, all Chicago wins, Flutie's playing-time increased, throwing 3 TD passes in 46 passing-attempts. Unfortunately for Flutie, he was called the “Midget of the Midway,” as opposed to the term “Monsters of the Midway” -- referring to the tough history of Chicago Bear defenses of the past. Chicago finished 14-2, adding up to a remarkable two-year record of 29-3. 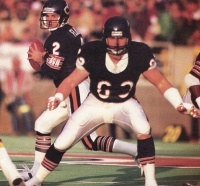 Chicago clinched home-field advantage throughout the playoffs for the second year in a row, but their leader – McMahon – was injured. The Bears entered the playoff game as heavy favorites against Joe Gibbs’ Washington Redskins, despite McMahon’s absence. During the bye week before the game, the Chicago’s football fans wondered who Mike Ditka would choose to start at quarterback. 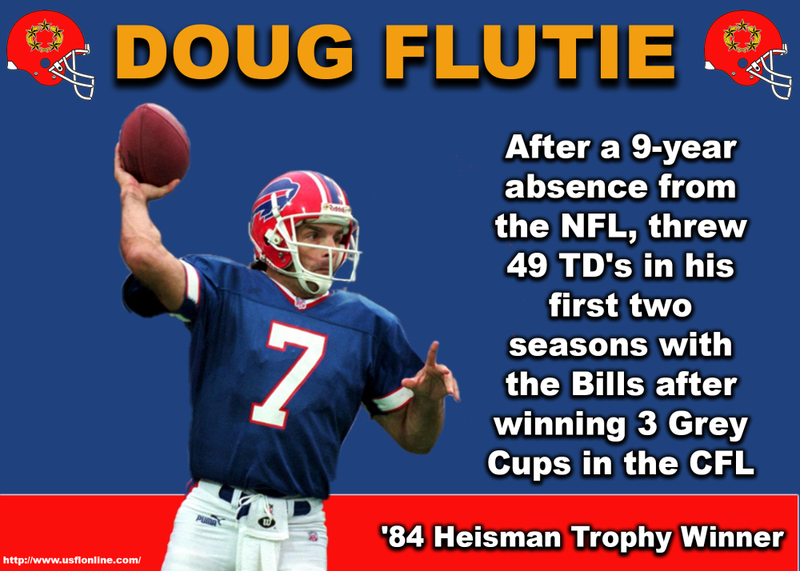 Would he go with the unimpressive Mike Tomczak, or the veteran Steve Fuller, or the newcomer Flutie? 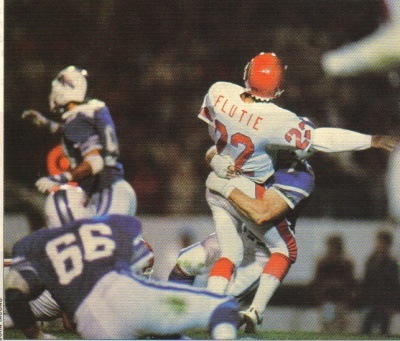 In a move that divided the team, Ditka chose Flutie.